Get your booze n’ free donuts at The Joliet Bakery (AKA The Drunken Donut) this Friday night – Aug. 3rd at 9PM! 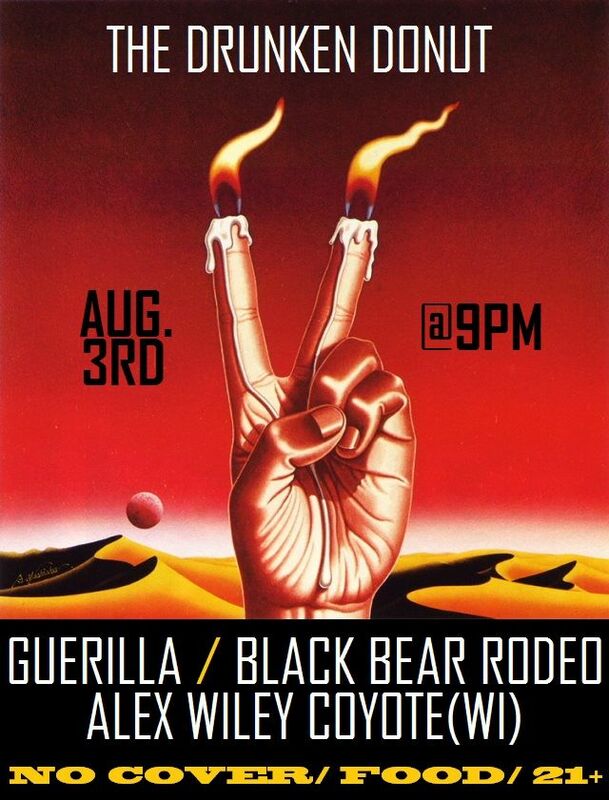 It’s gonna be a smoking hot show with Guerilla, Black Bear Rodeo, and Alex Wiley Coyote (based out of Wisconsin). This lighting themselves on fire stuff is equally as wild as their last music vid. Black Bear’s live show is just as fun! Alex isn’t always riding solo. He also plays guitar and sings in Wood Chickens. He’s playing couple really cool shows while he’s out. Come give him some love! Next Next post: New Undiscovered Music Videos that rule!